Facebook has gradually become a bigger social network than Orkut and is used by millions of people all over the world unlike orkut. All those who have been using Orkut over years are new switching to Facebook gradually. In this article we present a tip for those users who are new on Facebook and would like to find out if any of their Orkut friends are already on facebook so that they can build their network on Facebook faster. 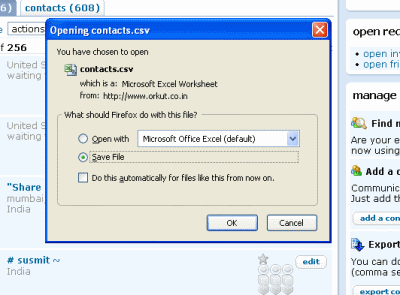 Step 2: Click on the button that says "Log in to Orkut". This will automatically open a new tab and redirect you to Orkut. 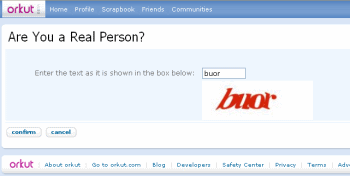 Step 3: In case you are already logged in to your Orkut account, you will be presesnted with a "Are you human" verification after which you will see a popup that asks you to download your Orkut contact list (in CSV format). If you are not logged in then after you do, you will be redirected to the "Are you Human" verification and the same will continue as above. 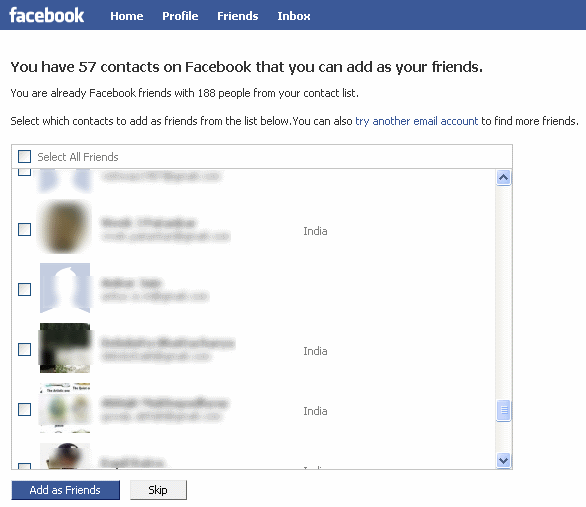 If Facebook finds any new Orkut friends whom you can add on Facebook, then you will be suitably notified as shown below. Your Orkut friends on Facebook search results!